In my last post, I talked a bit about how my rural Japanese town balances the desire for clean, delicious drinking water with the environmental impact of plastic bottles. Today, I would like to say a bit about air conditioning. The last two times I was in Japan, I actually did not have air conditioning, so I never really considered the issue, but now that I am in an apartment with air conditioning, I’ve realized just how efficient that system is. In America most newer homes and even many older homes have central air and heating. This can really create huge electric bills if you have guest bedrooms or large living spaces, particularly when you’re in the comfort of your bedroom and still cooling the rest of your home. 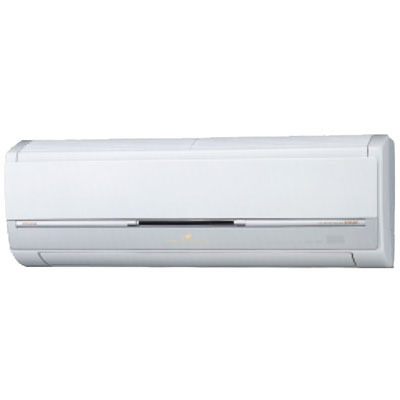 In Japan, however, air conditioning is not centralized, but rather restricted to wall-mounted units, usually in the bedrooms and living room, each operating separately. The advantage of this system is fairly obvious. Rather than cooling the entire home, you can opt to cool only the room you’re in. Furthermore, since the air conditioner is responsible for less area it is smaller, quieter, and is able to cool the space fairly quickly compared to my central A/C system back home in the United States. Even more impressive is the fact that these air conditioners also double as space heaters for the winter, which is a fortunate thing considering how frigidly cold Japanese homes can get. Of course, there are also drawbacks. For example, the living room may be comfortable at any given time, but the hallways and kitchen are almost always completely at the whim of the weather, and can often become brutally hot despite the air conditioning running in the bedroom or living room. However, when a single person can maintain an electric bill of $30 during 100 degree summers in a two-story, five-room apartment, the practicality of this system is apparent.